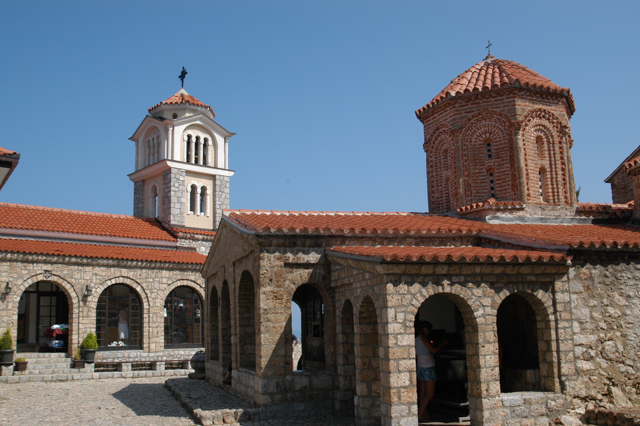 Vesna and I first visited this Church & Monastery on our honeymoon in April 1999. 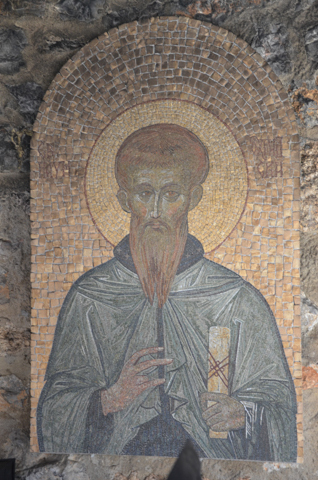 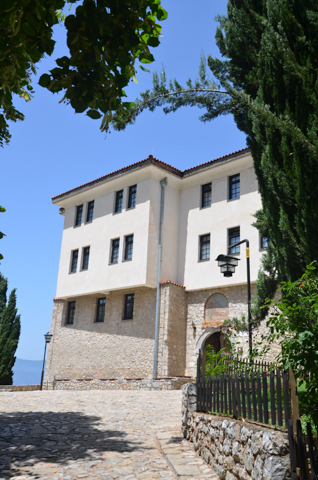 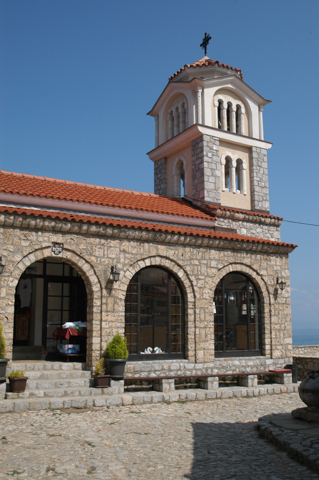 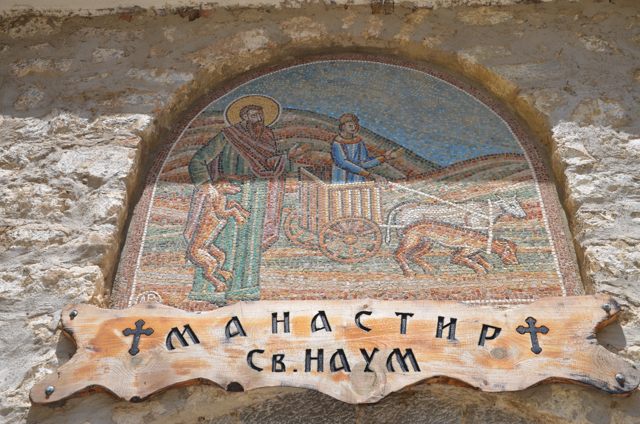 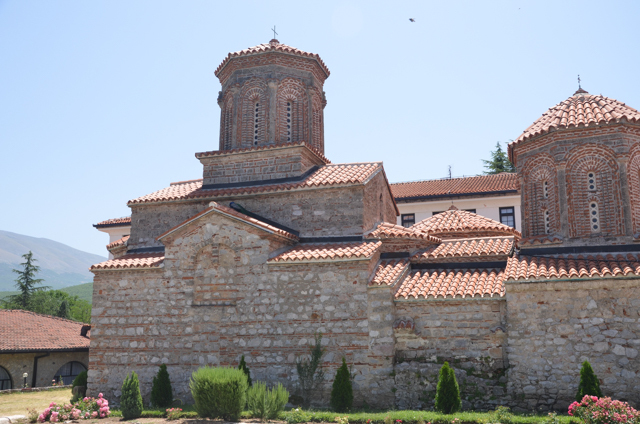 The monastery is dedicated to Sveti Naum and the Church is dedicated to the Holy Archangels Gabriel and Michael. 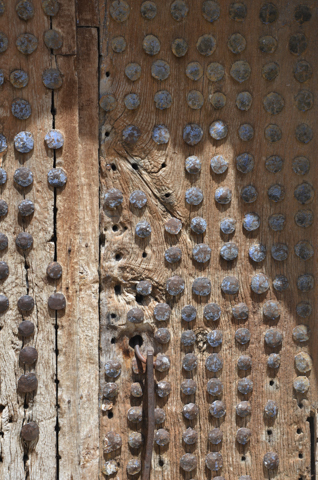 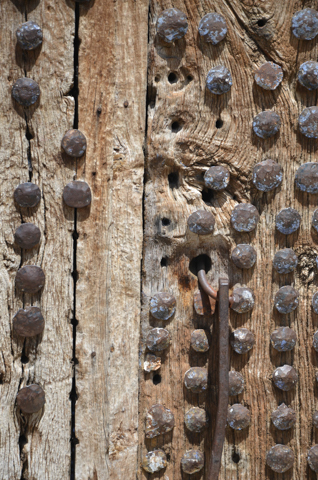 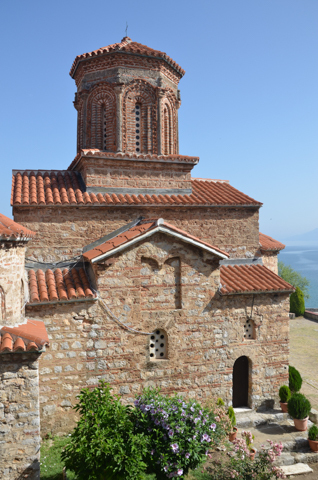 The original church was built in 900A.D. 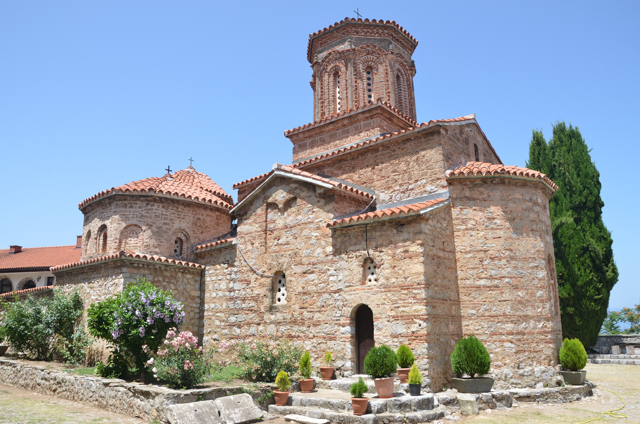 Sveti Naum himself died in 910 A.D. and was buried there at the church. 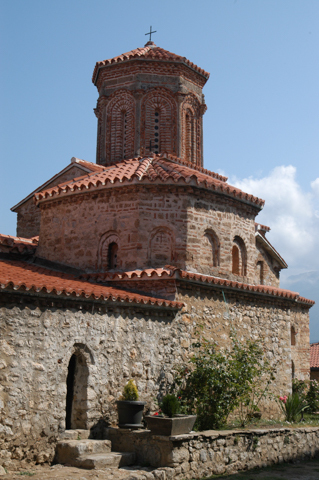 The church was renovated in two phases during the 16th and 17th centuries. 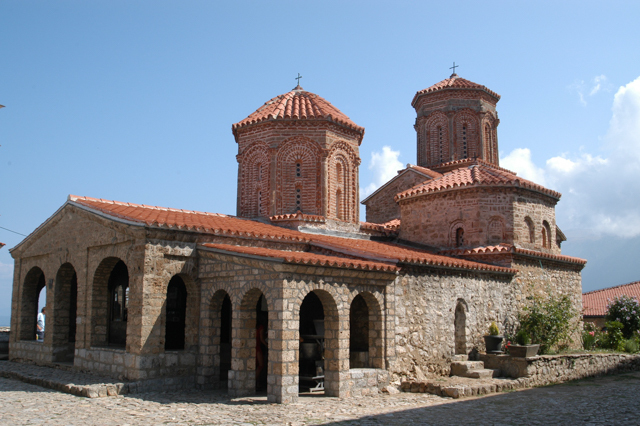 The monastery towers over Lake Ohrid near the Albania border and is close to the village of Ljubaništa and the Crni Drim (the River Black Dream). 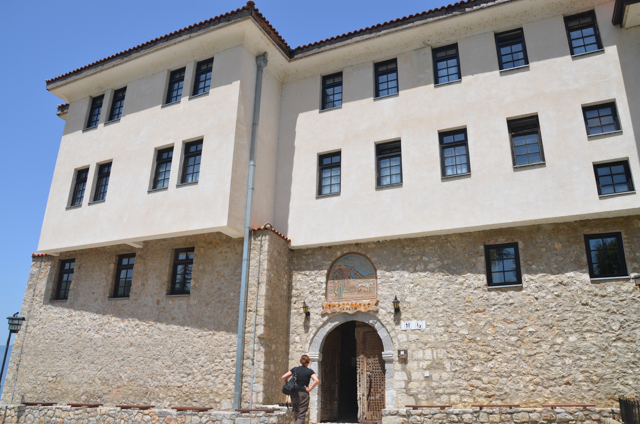 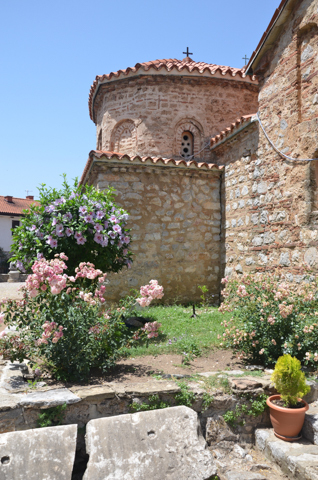 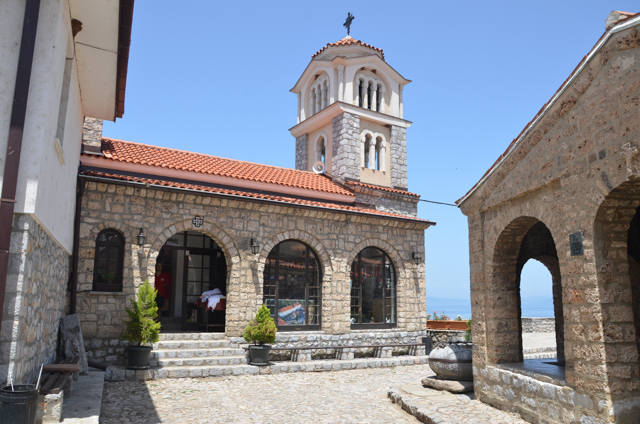 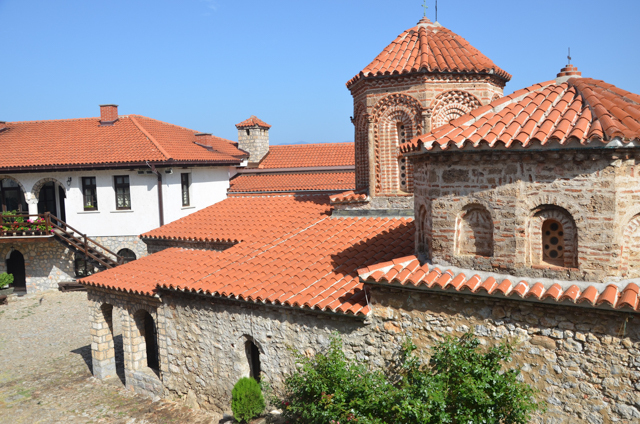 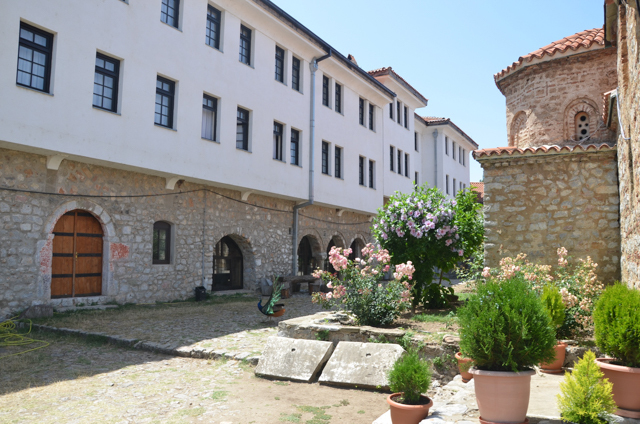 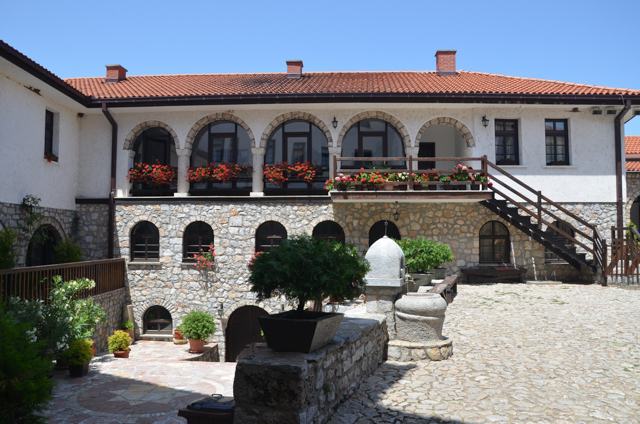 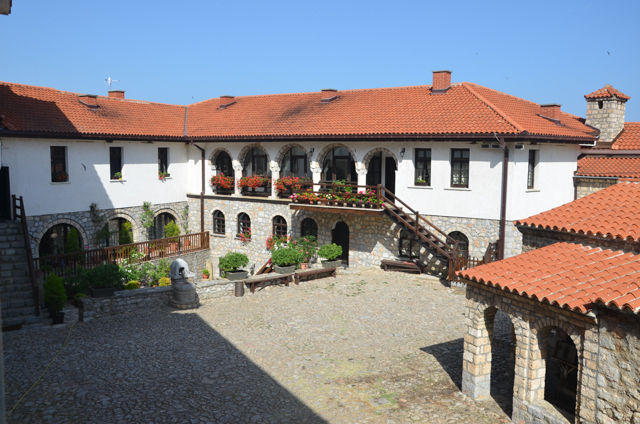 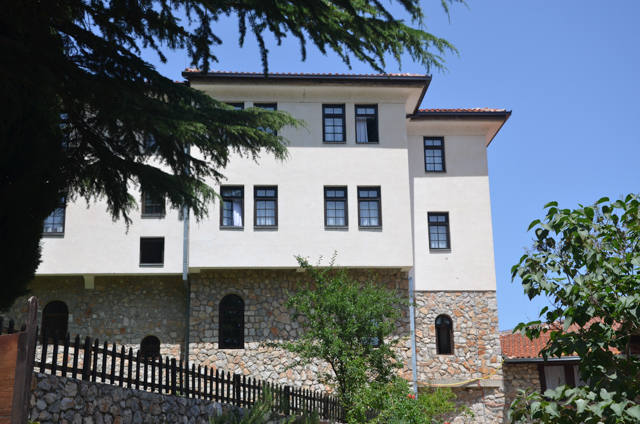 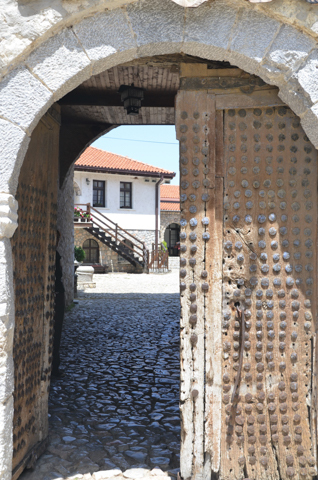 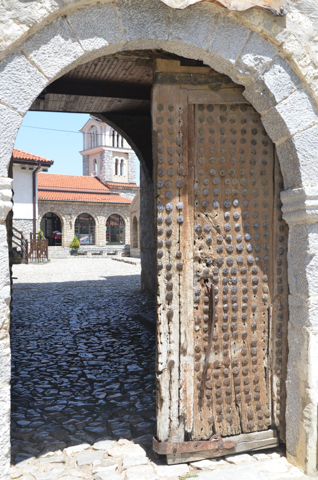 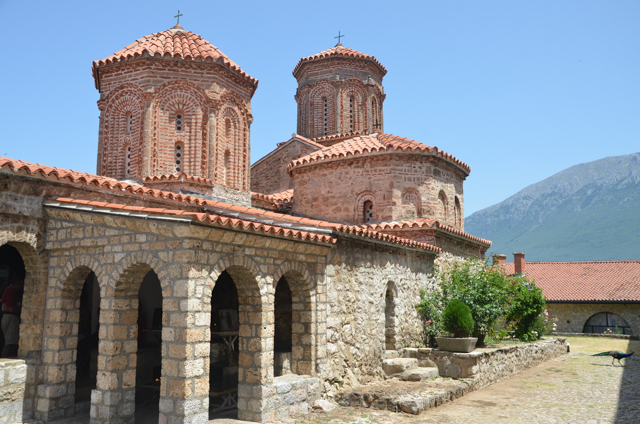 We arrived by boat but the monastery is very accessible by car and is about 30 kilometers south of the city of Ohrid. 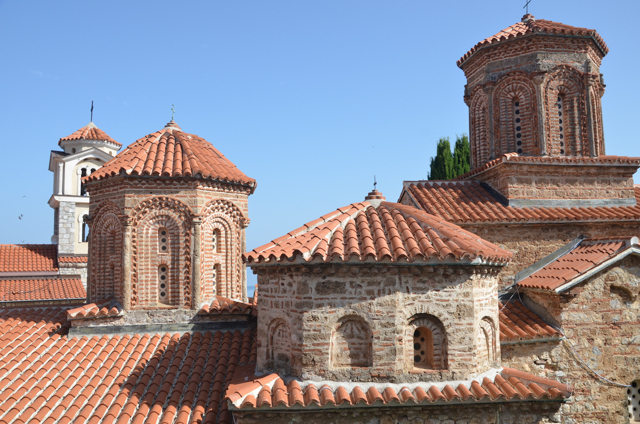 The views traveling to and from this monastery are extraordinary.